Response: Lung cancer is one of the deadliest cancers in the world, accounting for 30% of tumor-related deaths. Like many solid tumours, lung cancer is very heterogeneous (consisting of cancer cells which behave and respond differently) and hence there is currently no single efficient drug which is able to treat all patients. Levantini and colleagues previously showed that non-small cell lung cancer (NSCLC) tumor cells frequently express too little or none of a transcription factor called C/EBPα, a protein that regulates gene expression and cell proliferation in lung tissues. It’s also known to play a role in a form of leukemia, as well as liver cancer, squamous cell skin carcinomas, squamous cell cancers of the head and neck and other cancers. In their previous work, the scientists suspected that C/EBPα may act as a tumor suppressant in normal cells, but the mechanism by which its absence promoted lung cancer tumors remained unclear. Dr. Levantini went on to develop a mouse model in which deleting C/EBPα resulted in NSCLC. Analysis of this model led to the discovery that C/EBPα suppressed lung tumor formation by inhibiting the expression of BMI1. 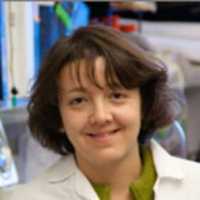 Dr Levantini then demonstrated that reducing the levels of BMI1 in her mouse model by genetic means, or by using a drug reducing expression of BMI1, led to inhibition of tumor formation. This study has established an important link between C/EBPα and BMI1 for the first time. Response: Low or absent C/EBPα resulted in poorer survival when they corresponded with a reciprocally high expression of BMI1, a gene implicated in the development of tumors of colon, breast, and stomach, as well as some forms of leukemia. Our findings suggest that assessment of expression levels of these proteins could be used as a way to predict which patients might benefit from drugs which inhibit BMI1, some of which are currently being evaluated in clinical trials. Response: Moving forward, knowing the substantial role that BMI1 plays in the formation and development of aggressive lung cancer types, our findings contribute to the development of better therapies for cancer patients that will have to be carefully characterized. Response: Government and private agencies around the world should significantly increase their support toward clinical research as it does not pay off in the immediate, but will greatly increase the health of our future generations! An investment worth considering! This entry was posted in Author Interviews, Beth Israel Deaconess, Biomarkers, Lung Cancer, Science and tagged Biomarkers, lung cancer by Marie Benz MD FAAD. Bookmark the permalink.